Are you looking to join a company that prides itself in producing high quality parts? Are you meticulous, a good communicator and enjoy being part of a team? Would you like to work for a company with a family feel and that puts its employees first by investing in them? 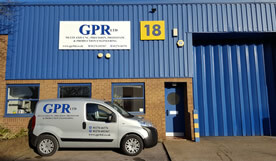 If so…Why not join our team in the position above and be part of GPR’s growing success story. Convert Quotes into works orders as Purchase orders are received. Liaise with customers on technical issues or problems. Conversant in computer skills using Word, Excel and knowledge of Tricorn Production System would be an advantage. Must be able to problem solve/advise or liaise with production on the best method for producing parts where required. Must be familiar with the latest ISO 9001:2015 standard. The ideal candidate will have a good knowledge of CNC machining and engineering practices. Have a good eye for detail and be able to have a good knowledge of engineering drawings and their symbols. To be proactive, have good communication skills and being able to work as part of a team by being approachable. To be meticulous with a very good work ethic and good organisational skills. To have had a good education with particular attention to Maths, English and computer literacy. You would be Reporting to the Managing Director. The role is for 5 days a week on a 39-45 hours basis on a salaried basis. 4 weeks holiday rising to 5 weeks after the relevant qualifying period. 3 days of the annual leave will need to be kept back for Christmas. Ideally the candidate should live no further than 15-20 miles away. Candidate should have a clean driving licence. If this role suits you please E-mail your CV to Vernon@gprltd.co.uk.